Below is a summary of the software resources that this course provides a gateway to understand.The information below provides you with overall insight into Business Analyst Web's key capabilities. 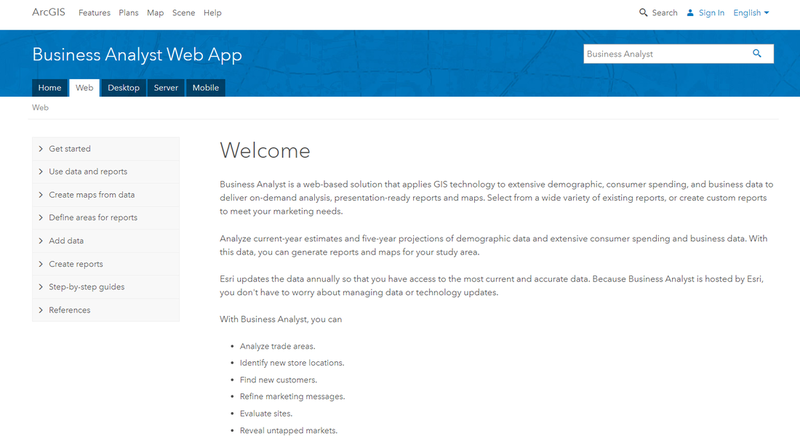 Esri's Business Analyst Web provides us with the capability of accessing GIS data and analytical capabilities anywhere we have web access. 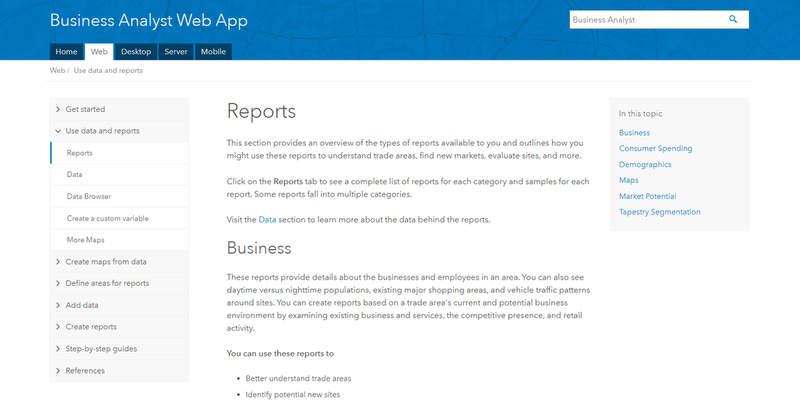 Clicking on the image below will take you to Esri's Business Analyst Web page, where you can learn more about map and report creation in the Business Analyst Web software.